TE can be used by itself or mixed with other scents. Try 2 dabs of TE covered with whatever cologne or other fragrance (e.g. essential oils) you normally use. If you ordered the sandalwood scented edge, you may still need to apply some fragrance over it because the scent fades, which might cause the stink to come through. If your initial dosage got you no reactions after a few days of testing (make sure you gave it a fare chance though), try increasing your dosage – but don’t go too far above 6 dabs. The musk oil is really designed to be used on its own or mixed with unscented pheromone products. To try it on its own, apply a drop of the musk oil to usual EO or cologne application points and see how that works for a few days. If you haven’t seen any reactions, again, try applying a little more but be careful of over dosing on the scent. If you want to apply both of them at the same time, try 2 dabs of TE to your neck and cover that with 1 drop of the musk oil split between both dabs. If the kit comes with a few gel packs (most likely SOE gels), you can use them on their own or with the other two products. Consider starting your applications at 1/4 of a pack and moving up as you see fit. You can reseal your gel packs by folding over the end a few times, but don’t keep them like this for extended periods of time as they can go rancid. The original instructions on the newbie kit were to create a mix of 1 part SPMO to 1 part TE in the atomizer provided, and then to try a full spray. Increase this to two sprays if necessary. 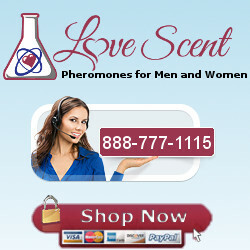 Be sure to post any experiences or questions on the Love Scent Forum.